Gentleman Gipsy in wayside camp and caravan, 1891. 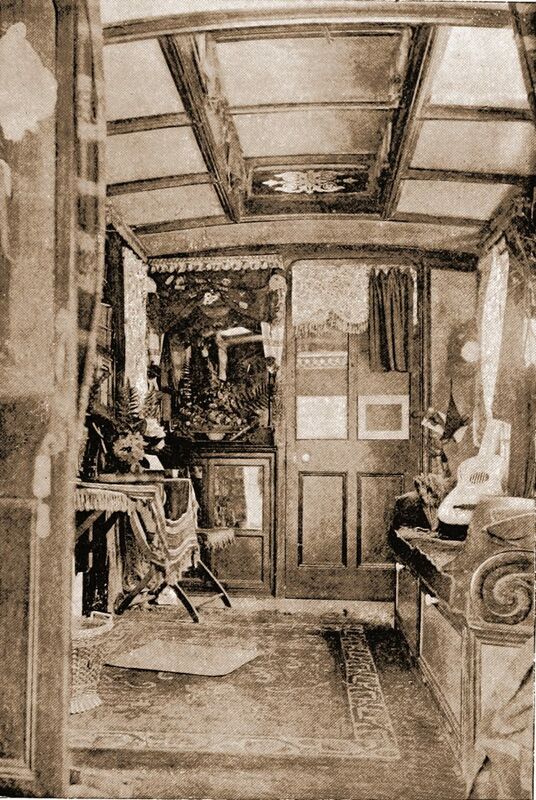 Home » Gentleman Gipsy in wayside camp and caravan, 1891. Wee Wanderers. 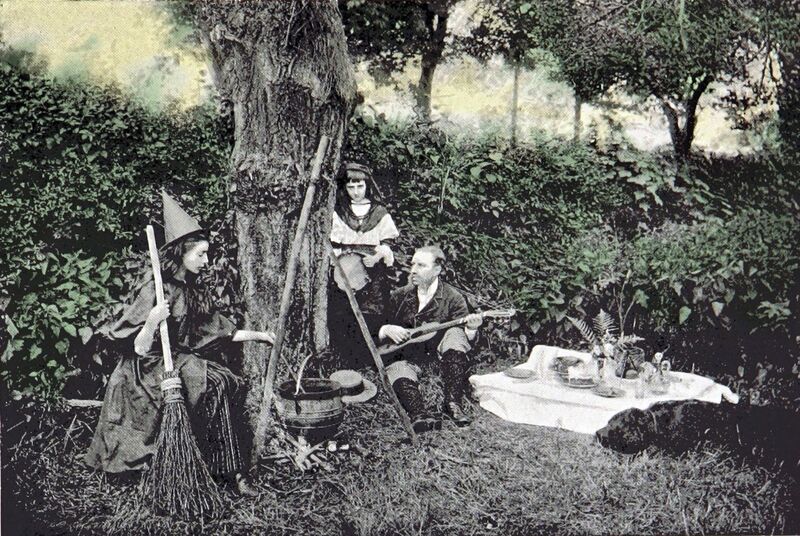 Daughters of W. Gordon Stables. Leaves from the Log of a Gentleman Gipsy in wayside camp and caravan, 1891. 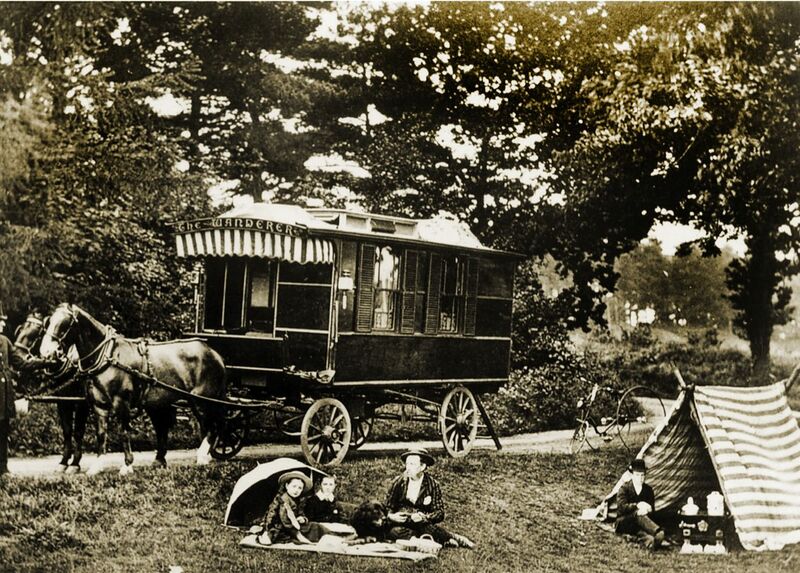 Dr. William Gordon Stables (21 May 1840 – 10 May 1910) was the founding father of leisure caravanning. Scottish naval surgeon and author of adventure fiction. Spring, summer, and autumn are the seasons for enjoyment on the road. But let me give the intending tourist just one hint:— winter is the time for preparation. A caravan takes months to build, and fit, and furnish. If the land yacht is not constructed with care and consideration inside and out, below and a loft; if she is not indeed a perfect home upon wheels, and well horsed to boot, her owner will be deprived of much pleasure and comfort which he other wise might have had. I think there is much to be said in favor of the plan of camp and caravan life combined, as fully described in Division III. of this book. Caravan – The Wanderer. Gordon Stables with his daughters in the middle. I am writing these lines on August 24th, 1891, in my camp at Bognor, by the sea. Bognor is the quietest, coziest, cleanest, dreamiest wee town on the south coast. I am all alone with my servant and Newfoundland dog. My camp consists simply of one tent and the caravan. 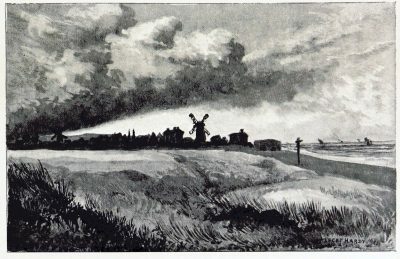 My horses are sent away because I shall complete a six weeks’ stay here: having done so, I hope to have a fortnight’s delightful ramble homewards. But I cannot help saying that my holiday at Bognor has been one of the most refreshing and restful any man could enjoy. 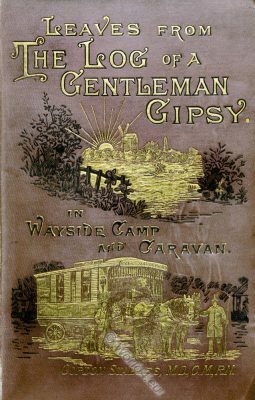 So convinced am I of the amount of health and pleasure derivable from a caravan and camping tour, that I have under consideration a scheme for the formation of a Gentlemen-Gipsy Club, to tour and camp in the loveliest parts of our own lovely land. 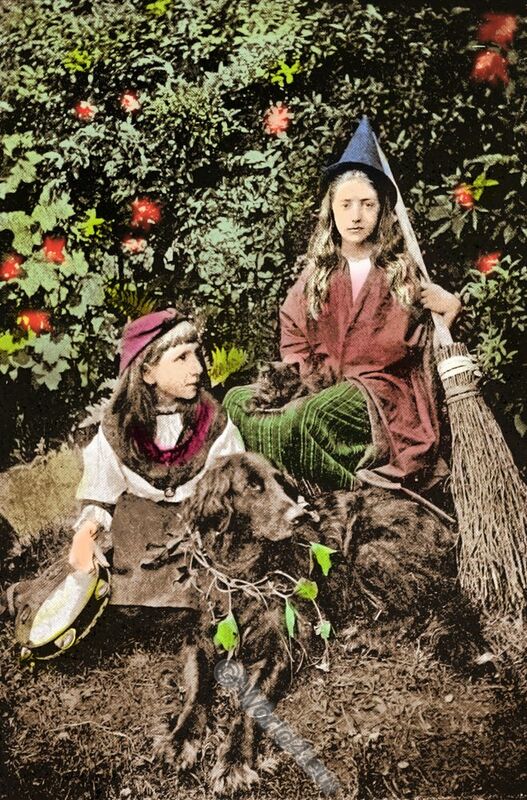 I have only to add that most of the illustrations in this book are the work of Dewy-Bates; two, namely, the scenes near my camping-ground at Deal, are by my friend, Alfred Hardy; while the subjects, “A witched pot takes long to boil,” and “My Wee Wanderers,” are from photographs of my own children by Mr.Eales, of Reading. Author: William Gordon Stables. Published: London 1891. Publisher: Jarrold & Sons. 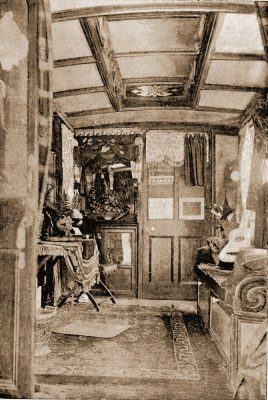 The Salon of the Wanderer. The caravan was inspired by traditional horse-drawn Romany wagons. The Wanderer measures some 18ft long, 6ft 7in wide and a maximum of 10ft 8in high. Built of double-skinned walls of panelled mahogany, it weighs about two tons. Entry is up wooden steps at the rear into the small pantry. To the right is a portable wash stand and to the left a Rippingille’s oil cooking stove. Sliding doors give access to the saloon, furnished to the right with a fixed sofa bed with storage beneath and to the left by a folding table. At the far end a door gives access to the dickey where the driving seat doubles as a corn bin. The “shed on wheels” was pulled by two horses named Captain Corn-flower and Polly Pea-blossom as Dr Stables travelled away on his holidays. The Wanderer usually had a retinue that included the doctor’s valet together with his coachman, favourite dog and a cockatoo, and was completed by his “Navy cutlass and a good revolver”. Source: The National Motor Museum Trust. 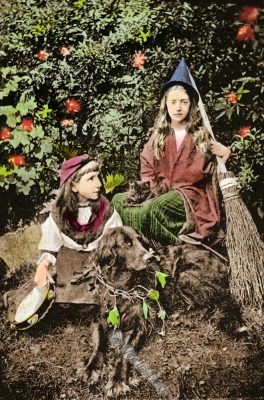 This entry was posted in 1891, 19th Century, Edwardian, England, Genre and tagged Edwardian fashion period on 3/1/18 by world4.